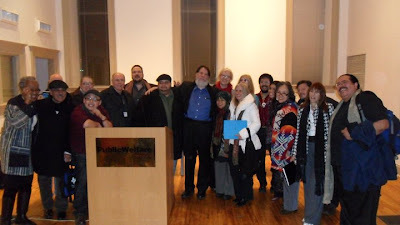 Split This Rock is among the countless poets, writers, activists and friends who are grieving the loss of beloved Chicano poet Francisco X. Alarcón. 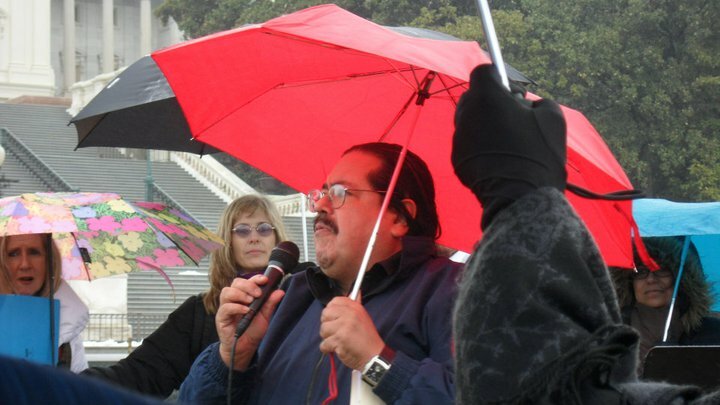 Beyond his award-winning poetry collections and children’s books, Francisco was known for expressing his commitment to human rights through a spiritual poetic voice. In April 2010, along with Odilia Galvan Rodriguez, he created the Facebook group Poets Responding to SB 1070 as a way for poets, artists and activists to share their poetic statements about the racial profiling Arizona state law that targeted immigrants and people of color. Francisco teamed with Split This Rock’s executive director Sarah Browning and poet/activist Rick Villar to create what was a tour de force poetry reading at AWP 2011 in Washington DC: A Multicultural Floricanto in Response to Arizona SB 1070, which featured dozens of poets, including Martín Espada, Sonia Sanchez and many others. At the same AWP, Francisco teamed with Split This Rock to create a poetry reading on the Capitol grounds to bring attention to xenophobia. Francisco loved Split This Rock and what it stands for, attended the festivals, and captivated all of us with his loving spirit. We will find a way to celebrate his life and work at this year’s festival, even as we will deeply miss his passionate presence.